The Wizkid has a Special User Interface Application that gives parents full control of the tablet. It allows parents to create a controlled area that is password protected for kids to play within. Inside this application the parents can pick the games and applications accessible to the children and also set the amount of time the children are allowed to play with the tablet on a daily basis. 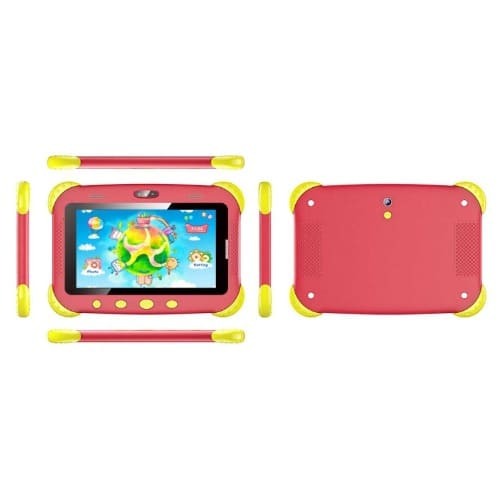 Customized Kids Tablet User Interface with Application Filter, Data Statistics, Time Management, Single and Double user profiles selection, Children themed layout with Live user experience and automatic posture and reading adjustment.